Hey HEY Hey! So by now, the vast majority of us have celebrated the first day of school. At my house, we’re now a week into the new school year, and I’m happy to report that things are going quite well! How about you? How’s that new morning routine working? We’re shaping up our household routines this month as part of the Organize and Refine Your Home Challenge. This week, it’s all about crafting the perfect evening routine. 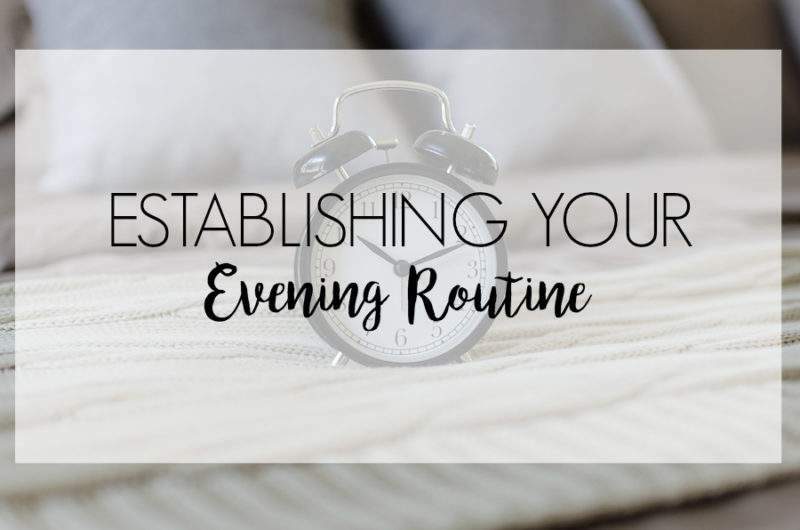 WHY ESTABLISH AN EVENING ROUTINE? 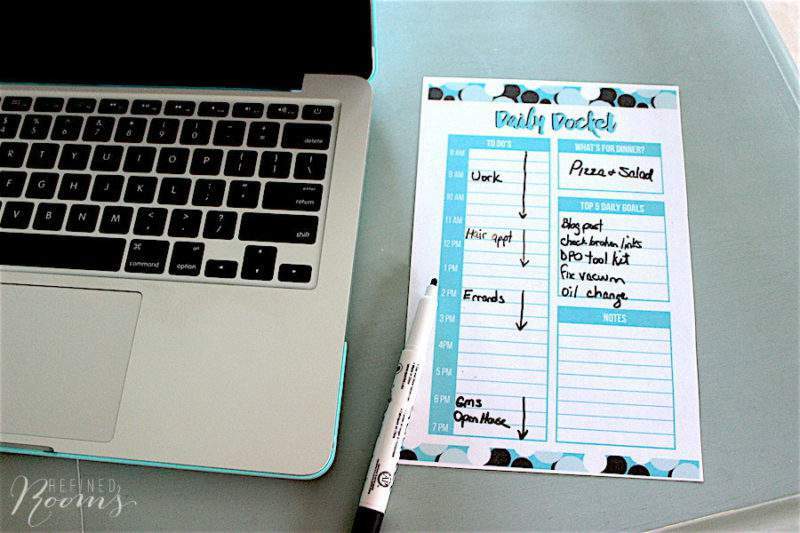 Last week, we talked about how crucial our morning routines are in order to set the stage for a more organized and productive day. But over time, what I’ve discovered is that I also need to be uber-intentional about what I do the night before, in order for me to execute my morning routine successfully. In other words…that morning routine that you nailed down last week really needs to begin the night before. WHAT WILL YOUR EVENING ROUTINE LOOK LIKE? Just like your morning routine, your evening routine needs to be customized, based on your unique situation and season of life. If you’re like me and your household includes a family with school-aged kids, your routine will have two components: one for the kiddos and one for you. Our mantra here at Chez Gallagher is: “do as much as possible tonight, so we can sleep in as long as possible in the morning”. Since my daughter’s new school schedule includes catching the bus at 6:48 a.m. (eeekkk! ), she’s super motivated to remove as many tasks off of her morning plate as possible. They are also responsible for picking up their rooms each night, which creates a “clean slate” for the morning (and prevents them from tripping on items left on the floor if they happen to get up in the middle of the night). Both my son and daughter end their evening in bed with some quiet reading time. This ritual helps them to relax their minds and bodies as they prepare to fall asleep. Of all of the things I’ve incorporated into my evening routine, spending a few minutes mapping out my priorities for the following day is THE. MOST. IMPORTANT. THING. If I skip this task, I find myself wandering aimlessly through the first few hours of the following day wasting so much time. And I really don’t have a lot of time to waste these days. Finally, I end the evening by indulging in a guilty pleasure. This can take the form of watching the latest episode of my current Netflix binge, doing my nails, or reading a book. Having this “Me Time” at the very end of the day helps me to decompress and reenergize. In last week’s post on morning routines, I mentioned how Crystal Paine’s Make Over Your Mornings course was a game-changer for me when it came to hitting the “reset” button on my life. As Crystal preaches in her course, a successful day is largely dictated by what you do the night before. Consequently, she offers a companion course called Make Over Your Evenings, which walks you through a step-by-step plan for creating a custom evening routine for your household. Together, these courses have truly helped me to bring order and peace to my household. I went through this course earlier this year, and now I’m re-watching it and completing the exercises again as we ease into the new school year to start (you get lifetime access to the course so that you can watch it repeatedly as your life evolves). Click here if you’re interested in learning more about the Make Over Your Evenings course. I’d love for you to share the details of your new evening routine via Instagram (use the hashtag #OrganizeandRefineChallenge and don’t forget to tag me) and/or share it in the comments below! This is exactly what I need right now. Thanks for sharing at Merry Monday! Oh, I’m so glad Dee! Great checklist – thanks for sharing. Stopping by from Show and Tell link up. Thanks for stopping by Kimberlee!